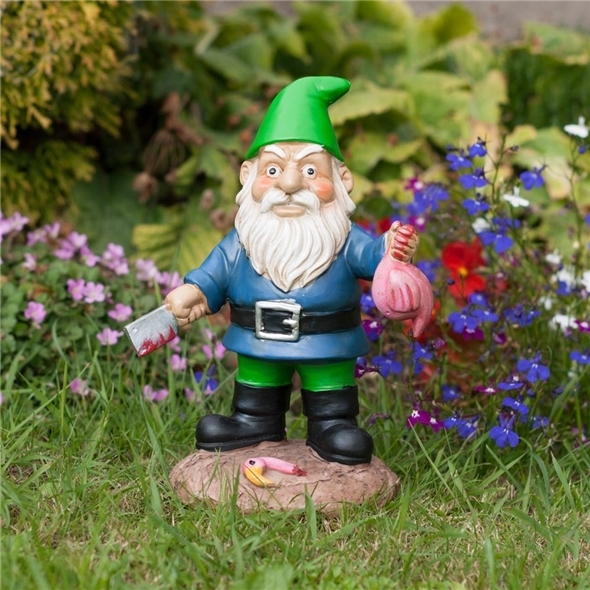 You want to brighten up your back garden, but gosh darn it, those cheesy old garden gnomes are just so clichéd. Surely there must be a less tacky way to illuminate your lawn? Well, okay, this bearded butcher is still a little tacky, but he's certainly a lot more interesting than the bog-standard gnomes you usually see on people's lawns. He's just finished beheading a flamingo - see, because flamingos are also a common choice of tacky lawn ornament, and our funny garden gnomes were presumably sick of the competition. 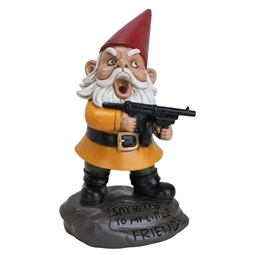 Want a garden gnome with a little more edge? 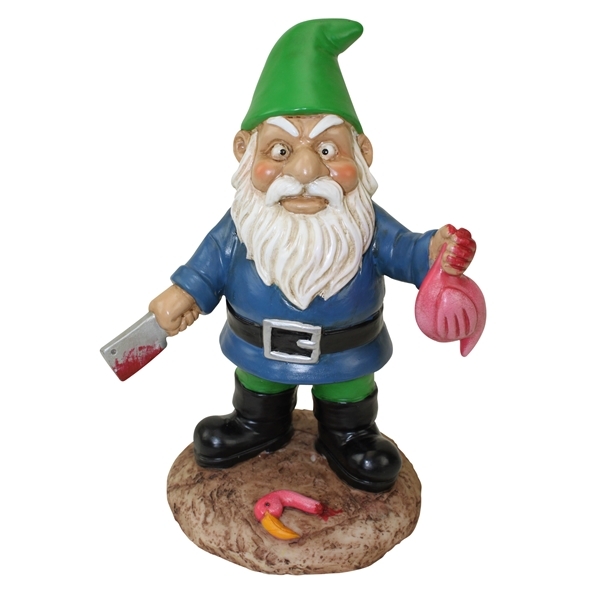 Your wish is granted - of all the funny garden gnomes we have on offer, the Butcher is surely the edgiest! Your lawn will never be the same again! 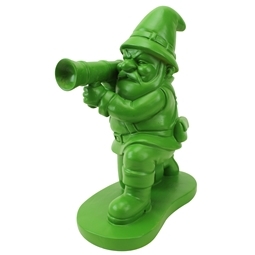 Please note that Gadget Inspector will not be held responsible for any gnome attacks encountered after purchasing this product.